Inexpensive tricks to improve the security of your home. While a 24/7 monitored home security system would be ideal for peace of mind, the cost of installation, equipment, and ongoing services can often be out of reach for tighter budgets. Fortunately, there are some easy and inexpensive solutions for homeowners looking to upgrade their home security on a shoe-string budget. One of the quickest and easiest ways to deter burglars is motion-activated lighting around the home. These lights will turn on when they sense motion, illuminating would-be uninvited guests. There are plenty of reasonable lights in hardware stores. If installing a new security light isn’t possible, check out existing lighting and swap it for a motion-detecting unit at the front, side, and back entries. While we can always try to remind ourselves to lock the doors, it’s inevitable someone will forget in a hurry. Fortunately, electronic locks are on the market for a reasonable price. From the touch of a button, you can lock your doors even when you’re not home. If this isn’t achievable, aim to add a deadbolt to your door for extra protection. 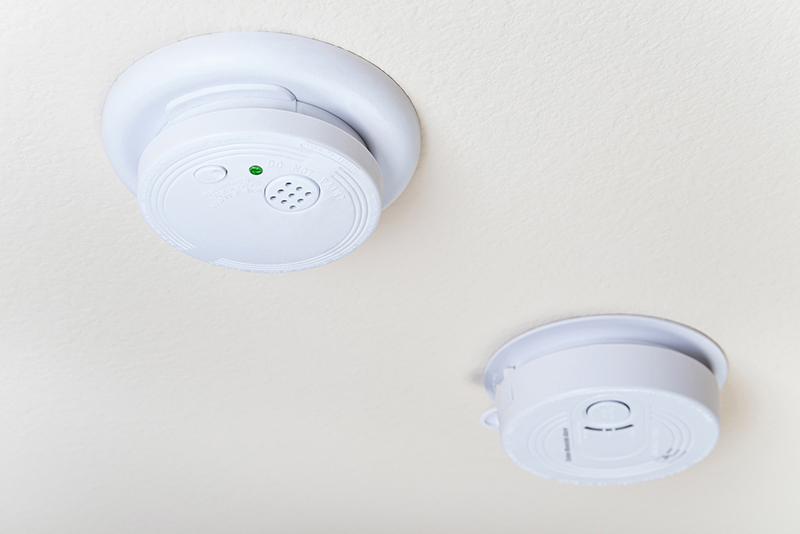 The batteries in your home’s smoke detectors and carbon monoxide detectors should be replaced at least once a year. Test your alarms monthly and add in new batteries, if necessary. A good emergency kit will contain more than just first aid items. It will have everything necessary to see the family members through a disaster, from blankets to non-perishable food to water to the dog’s toys. Your homeowners insurance is there to protect your home – so ensure it does! If you haven’t reviewed your coverage in a while, now is the time to take a home inventory and ensure your home coverage meets your property, needs, and budget. Ensure that you have the optimum coverage by visiting the professionals at Gee Schussler Insurance Agency. Our team of professionals is here to help you protect your home in Orland Park, Illinois.